We calculate the 4 ft² USDA standard for “free-range” for our run space recommendations / hen counts. That’s a healthy minimum for sanitary and ethical considerations. Still, more can never hurt when it comes to your girls. 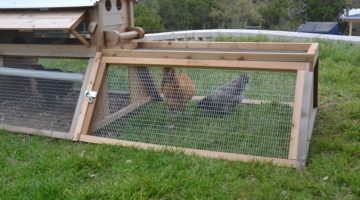 All our expansion products are designed to work with specific coop models and on some models, increases the recommended hen capacities.